You are driving your car on the way to your work and suddenly a light named “SRS” appears on your instrument cluster. What does it mean and is it dangerous to drive with it? Will my car stop or get damaged if I keep driving? How expensive will it be to fix?. There are a lot of questions that are coming up in your mind when a light appears on your cluster but do not worry. I’ll explain everything you have to know about this light and how it works in this article. SRS stands for Supplemental Restraint System. In other words, it is a part of your Airbag system. Some manufacturers are using an airbag light and some are using the SRS light. It is the same thing with different names. When your SRS light occurs, it means that you have an error stored in your airbag system and you have to fix it as soon as possible. Your airbag system contains an airbag control unit, several crash sensors and several airbags. The crash sensors are mounted in the front and the side of your car, some cars have more crash sensors. When one sensor detects a collision, it will send a signal to your airbag control unit to deploy the airbags. When the airbag control unit gets that information it sends a signal to your airbags, which are mounted in several places in your car. All of this happens in the time of milliseconds. What are the possible causes of my SRS light? There could be several possible causes of an SRS light. The easiest way to find out this is to read the trouble code memory with a good OBD2 scanner. The most cheaper OBD2 readers do only read the engine control unit, so to read the airbag system you may have to spend a bit more money for a good read that is compatible with your car. You could also drive it to your mechanic workshop to read it for some bucks. The trouble codes in an SRS light is pretty precise and they do often describe the problem well. The most common causes of an SRS light is bad connections and plugs. The control units measure the airbags carefully and it does often monitoring it between 2-5 ohms. If there gets a bit of bad connection in one wiring plug, the resistance will go over 5 ohms and the SRS light will turn ON. You can often spray a bit of electric cleaner in these plugs and then erase the trouble code memory. An SRS light will not go off by itself after you have repaired the problem, in a security purpose. You have to erase the trouble codes manually with an OBD2 scanner to get the SRS light Off after you repair. Always remove the battery connection when you are working with an SRS system. A really common case is the connectors under your front seats. The connectors of an airbag system are often yellow. When you are moving the seats forward and backwards the connectors will move a little bit everytime, and it may cause bad connections between the airbag control unit and the airbags/seatbelt airbag and it will cause an error code. Normally you can spray some electric cleaner in the connection and remove the trouble codes and the error should be fixed. Is it safe to repair the airbag system myself? As long as the SRS light is on and an error code is stored, the airbags will not deploy by the control unit. The dangerous part is if you are shorting something and give power to the airbags, which will make them deploy. A common cause of this is when people are measuring the airbags with a multi-meter. A multimeter is sending out microvolts and it could make an airbag to deploy. Always remove the battery connections and never measure the airbags with a multimeter when you are working with an SRS system. When you are repairing an SRS system, you should always repair it after what the repair manual says and do not make any bad solutions. It can make the airbags to deploy when you are driving your car and you would really not want that to happen, it may cause serious injuries to you. To get the airbag light away you have to remove the trouble codes manually with an OBD2 scanner. Always stay for a safe distance when you are erasing the codes, because a faulty repair may cause it to deploy when you are removing the codes. Your airbag system will be out of function if your SRS light is on and will not deploy in case of an accident. Always fix your airbag system as soon as possible. You have to remove the error codes after a repair to get the srs light go off. Always repair your SRS system after the repair manual and never make bad repairs, it may cause your airbag to deploy. 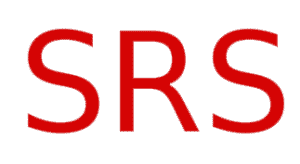 If you have any other questions about your SRS system you can comment down below and I will answer your questions as soon as possible. If you have any other car questions you are welcome to ask them for free on our homepage. Hi I was told that I needed to replace front seat belt as this was causing my SRS light to come on. Is this correct as I don’t see seat belts under your list of possible causes? Hey Natalie, inside of the seatbelt buckle you do sometimes have an explosion tightener. This can absolutely cause the airbag light to light up!